Originally rejected by the BBFC on its original release for being "against nature", this first and best screen adaptation of H. G. Wells' The Island of Dr. Moreau is a taboo-flaunting, blood-curdling spectacular, and one of Hollywood's wildest, most notorious, pre-Code pictures. 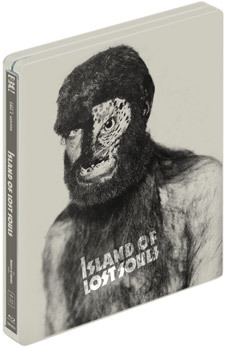 Shipwrecked and adrift, Edward Parker finds himself a guest on Dr. Moreau's isolated South Seas island, but quickly discovers the horrifying nature of the doctor's work and the origin of the strange forms inhabiting the isle: a colony of wild animals reworked into humanoid form via sadistic surgical experiments. Furthermore, Parker quickly begins to fear his own part in the doctor's plans to take the unholy enterprise to a next level. Featuring a peerlessly erudite and sinister performance by Charles Laughton as the diabolical doctor, a sterling appearance by Bela Lugosi as the half-beast-half-man "Sayer of the Law", and sensationally atmospheric cinematography by the great Karl Struss (Murnau's Sunrise, Mamoulian's Dr. Jekyll and Mr. Hyde), Island of Lost Souls now returns to claim a central position among the most imaginative and nightmarish fantasies from Hollywood's golden age of horror. Unbelievably, this is the first-ever Blu-ray or DVD release of this Universal horror classic in the UK, finally released in time for its 80th anniversary – released the same month as another famous Charles Laughton film Ruggles of Red Gap in the Masters of Cinema Series. A true classic of horror cinema from the early 1930s – alongside Dracula, Frankenstein, Freaks, The Invisible Man, Vampyr, and Dr. Jekyll and Mr Hyde. 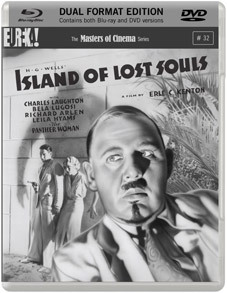 The Lisland of Lost Souls will be released on UK Blu-ray and DVD in a dual format package on 28th may 2012 by Masters of Cinema at the RRP of £20.42. The package will also be available as a limited edition steelbook release at the RRP of £30.63. A lavish booklet featuring rare production imagery, and more!